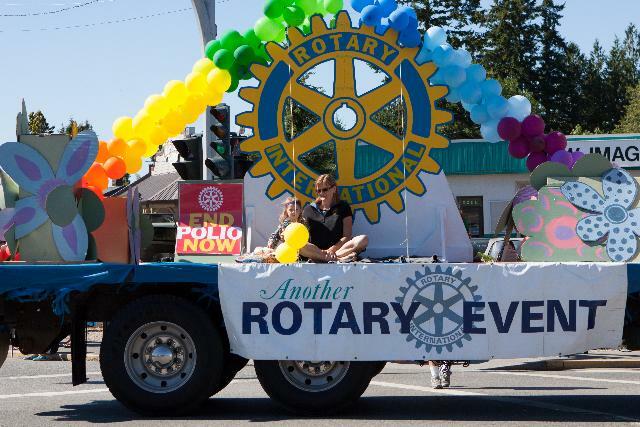 Our members had so much fun building the Rotary sign, painting flowers, and decorating the float. Between these tasks, we had over 15 members participating in the making of the float. A special thanks for countless hours from Claude, Charlie, Jan, Dan L., and Don for their work on the new Rotary wheel that will stay in our club for years to come and be used for many community events.